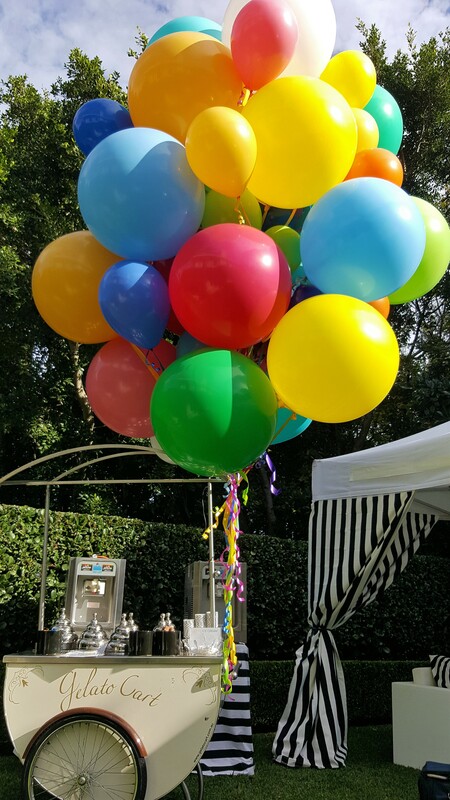 Decorate your event with something spectacular! 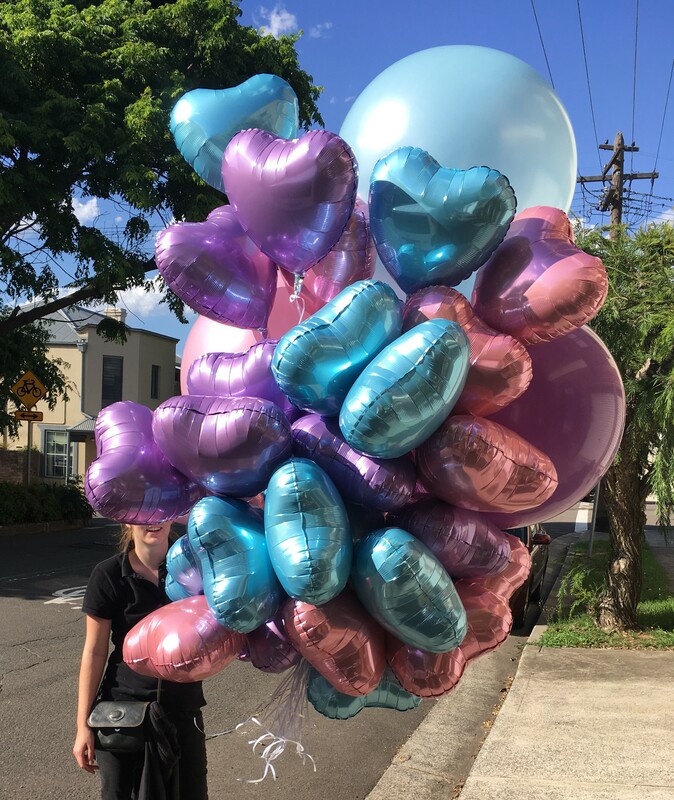 Whether its a pre-made product or a customised bouquet, our Helium Deluxe Arrangements are a great way to style and design your event space with ease. 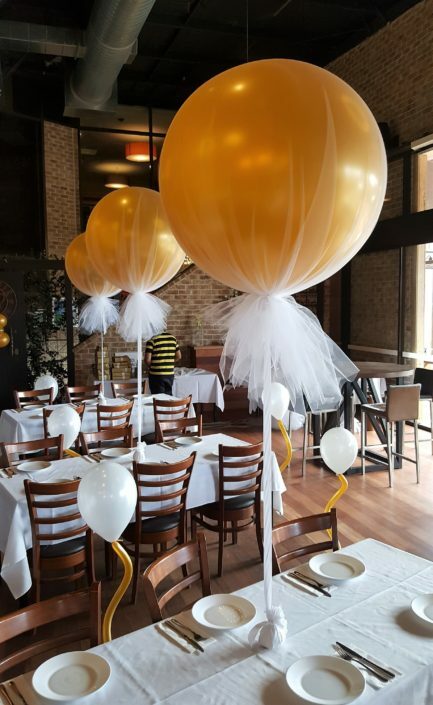 Our Helium Deluxe Arrangements go above and beyond simple floor and table arrangements. 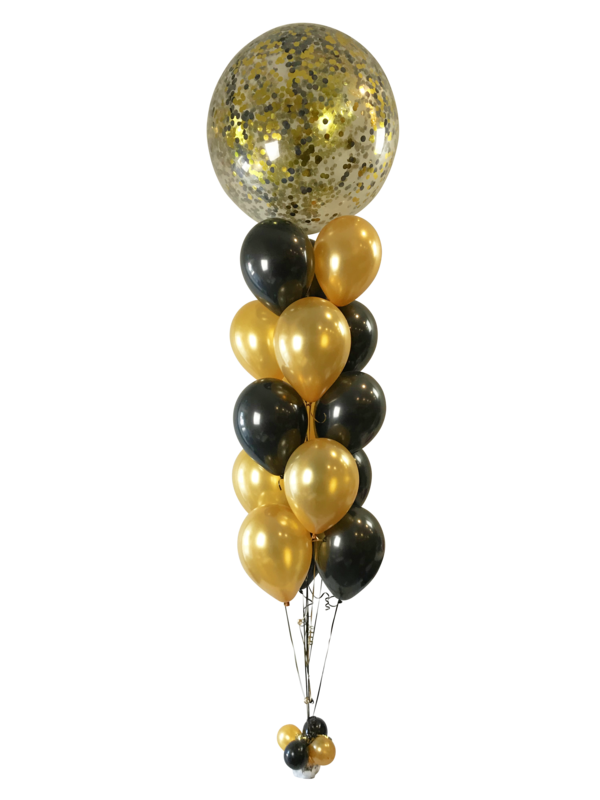 Their designer and larger than life qualities are sure to make an impressive WOW factor at your event. 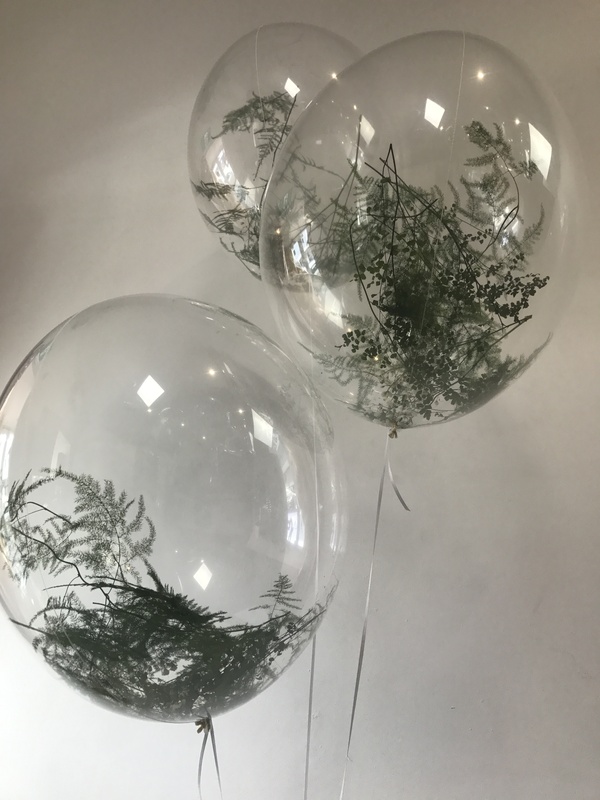 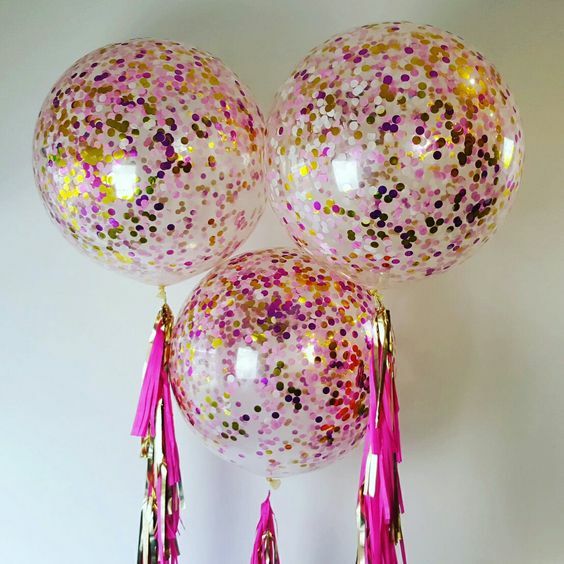 We have a range of pre-made products that you can choose from, such as the popular 3ft Confetti Giant Arrangement or the elegant Fern Bubble pictured below. 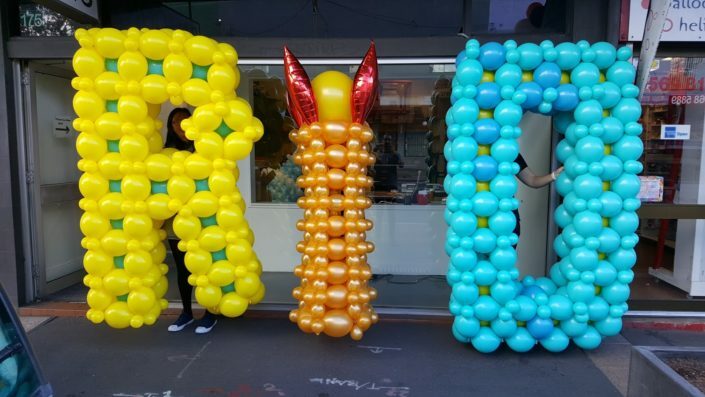 Want to make something customised? 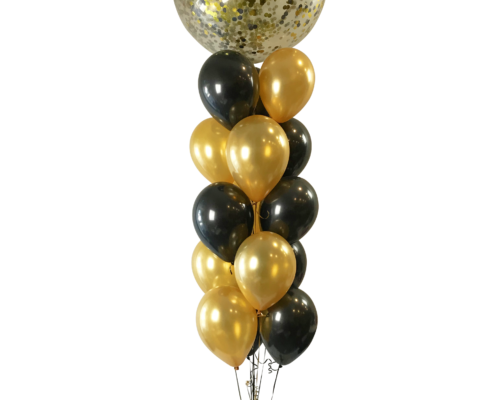 Either design an arrangement specifically for your event or intertwine balloons with props for a clever twist. 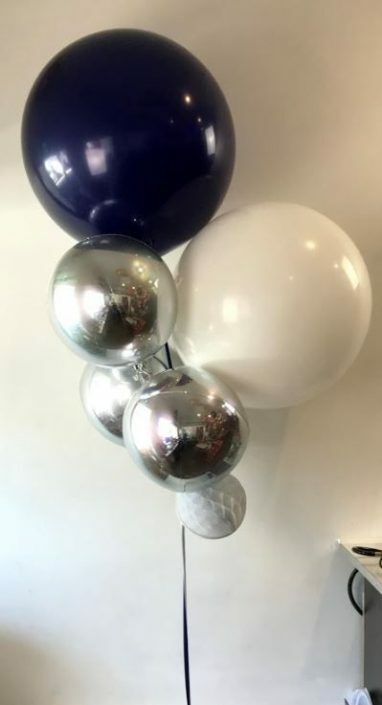 Just send us an email and lets start chatting! 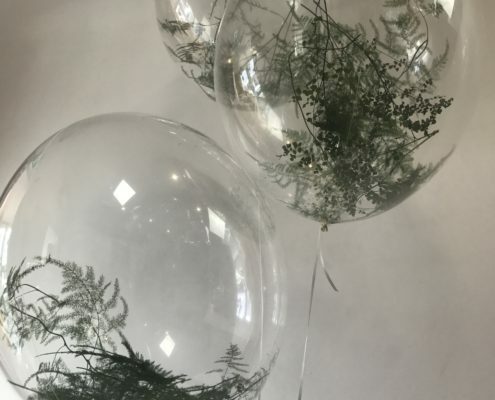 Otherwise order your pre-made Deluxe arrangements here! 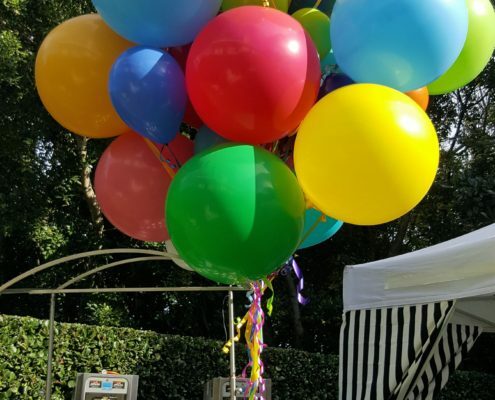 Do you want to create something unique for your business or event? 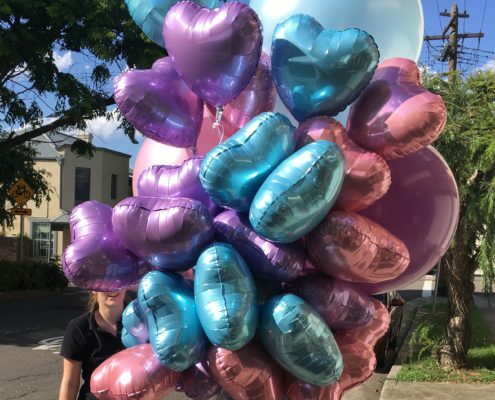 We love to produce creative and eye catching designs specific to your occasion and brand! 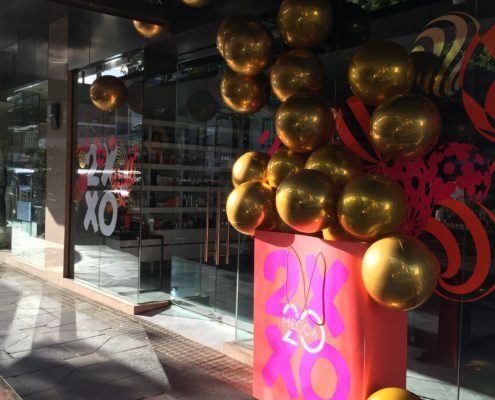 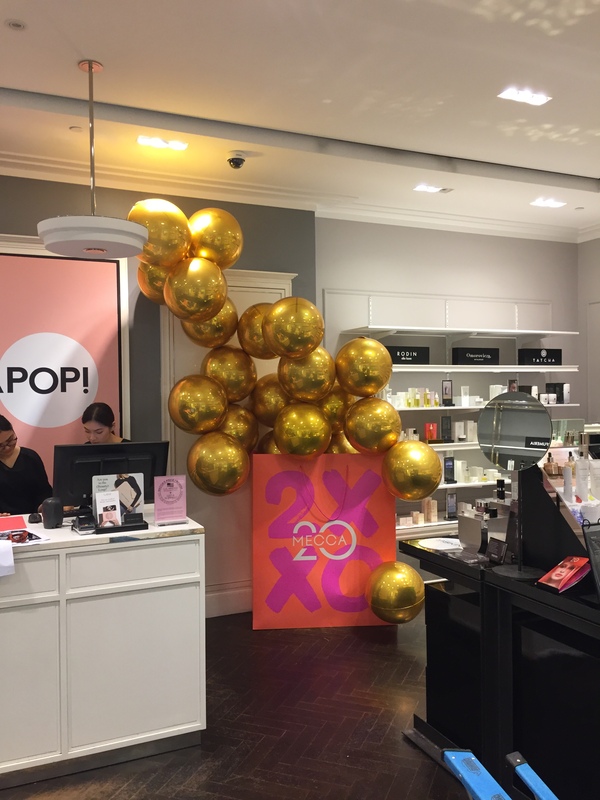 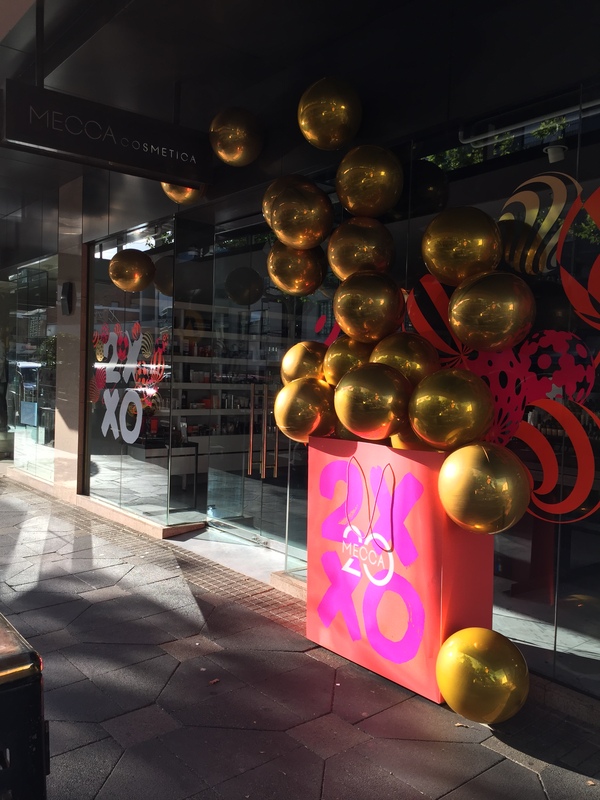 Below is an example of a job we did for Mecca Cosmetica, using our 24″ Gold Orbz to create these stunning arrangements in stores all over Sydney.